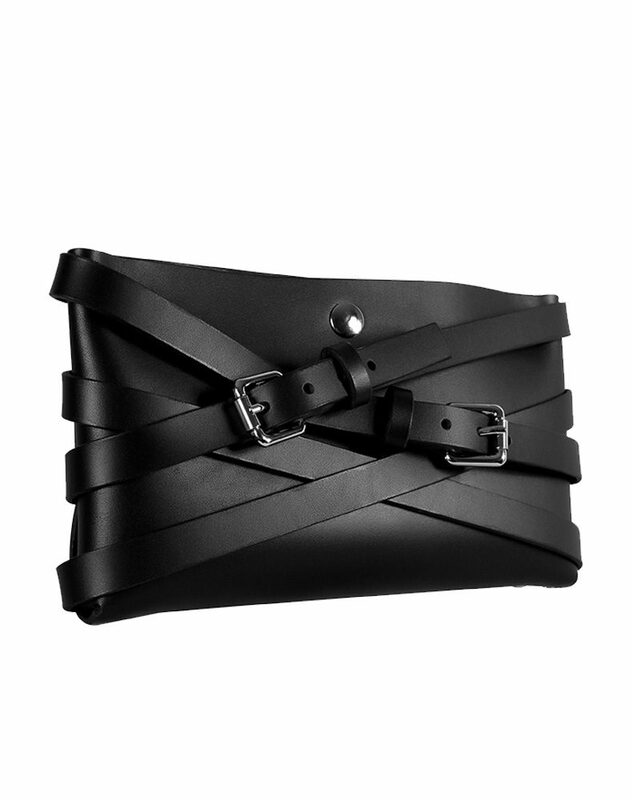 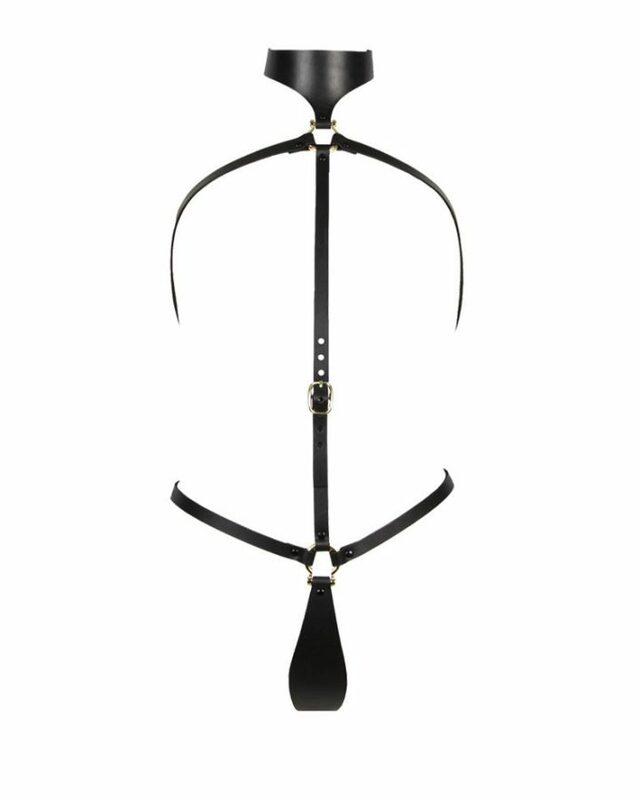 The double cross clutch bag is a statement of sophistication strapped in leather. 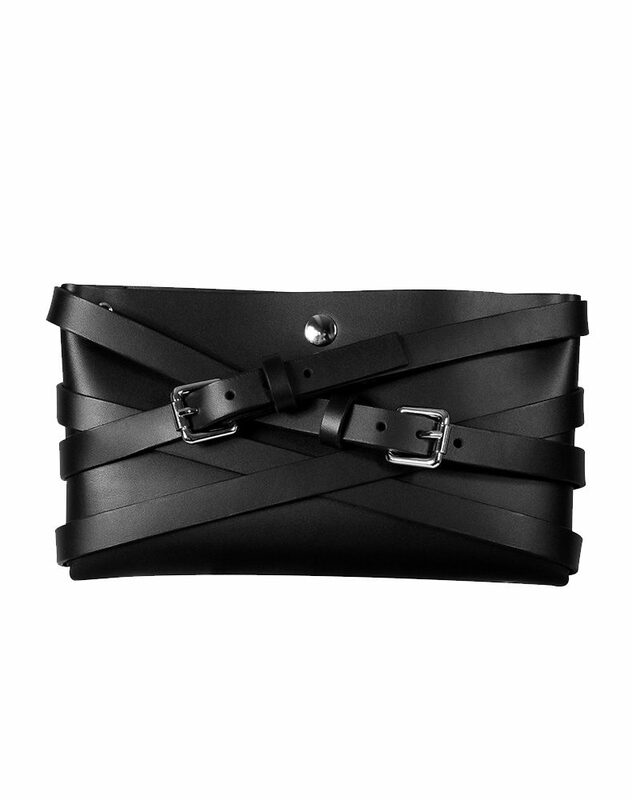 Featuring a double silver buckle detailing, it allows a firm hold around the wrist. 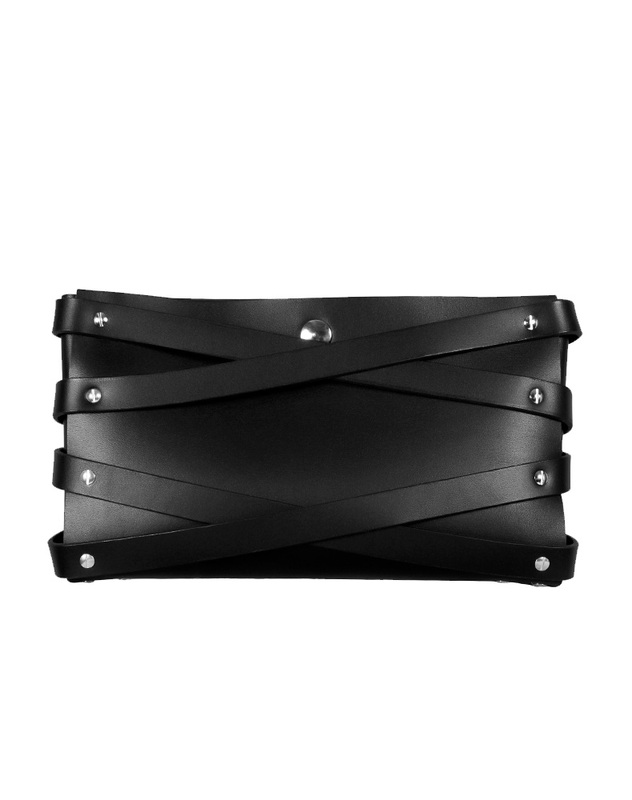 The veg tan leather clutch is elevated with silver hardware and simplicity in design.